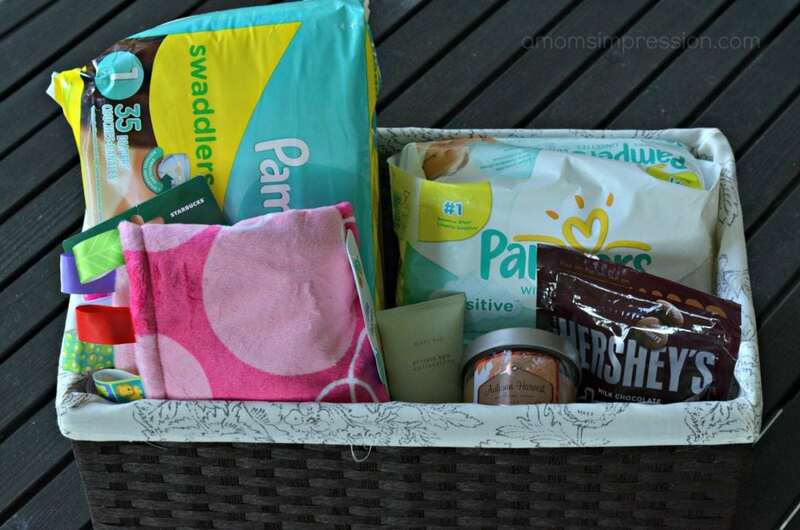 Pampering a Deserving Mom with the help of Pampers & $50 Gift Card Giveaway! Any new parent will tell you that one of the hardest things to adjust to when bringing home a newborn is the lack of sleep. When I brought Caroline home, I was trying to recover from my c-section as well as caring for a newborn and her 3 year old brother. I was exhausted. Sleep is not overrated. I have a lot of friends who are expecting. Most of them are expecting their second child. When I had my second child I thought life would be about twice as hard, but I wasn’t expecting it to be more than that. I was in for a big shock. Having two kids is more than twice the work, but it is also more than twice the fun, the love, and the excitement. By interviewing over 9,000 moms about what was important for their baby, Pampers found the number one unmet need is a diaper that provides superior overnight dryness. Pampers incorporated this firsthand insight, as well as the brand’s deep understanding of baby and baby’s needs, to design a diaper that both mom and baby can count on for up to 12 hours of overnight protection. A diaper that can last all night long is essential in finally getting a good night sleeps when you have a newborn. Pampers recently introduced Pampers Cruisers that are now more absorbent. They also just increased Pampers Swaddlers to include size 5 so now the softest diapers on the market now works with older children. 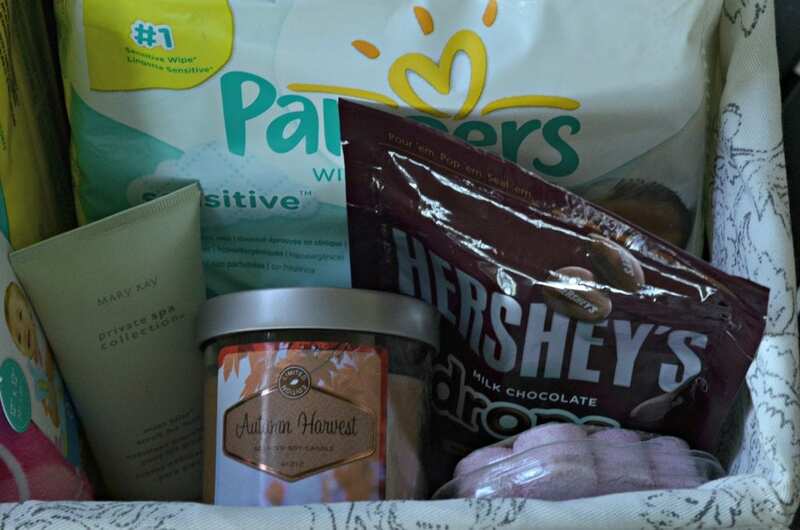 To celebrate, A Mom’s Impression teamed up with Pampers to give the gift of sleep to a deserving mom! I created this pampering gift basket for one of my co-workers and good friend. My friend is an amazing mother to a little girl about to turn two. She is also about to have a new baby sister next month. While she is pregnant, my friend is still working very hard as a public school teacher. She goes above and beyond for her students and we wanted to do something special for her. I included a candle so she could relax, some mint foot rub so her hubby can rub her feet in her last month of pregnancy. I also got her some bath salts and some chocolate, because lets be honest, what pregnant lady doesn’t want chocolate? 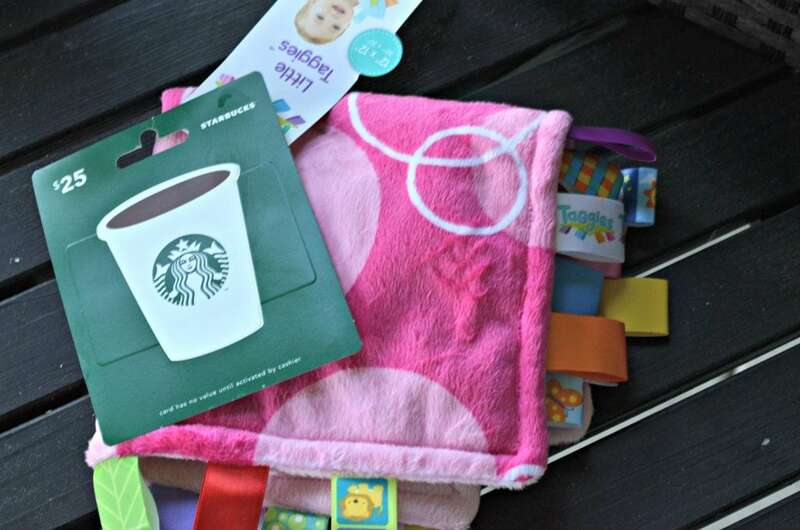 In addition to the Pampers Swaddlers and wipes, we also got her a Taggies Blanket for the newest little one as well as a Starbucks gift card so she could get a few cups of coffee for those early morning wake up calls. While nothing compares to sleep, my hope is that my friend can get a little bit of pampering in before her baby comes. Pampers wants to give the gift of sleep to one lucky reader! One (1) winner will win a gift package that includes a Sleep Sheep Sound Machine, cozy blankets for Mom/Baby and a $50 gift card. i would do errands, help clean, cook, whatever she would need. I would take her a meal and watch her kids so she could take a nice shower. I’d give them lots of supplies and offer to babysit. I’d help by offering to babysit when I can. I would offer to babysit. I would clean her house and make a meal. I would clean, cook and babysit for her so she can rest. I would babysit and run errands! Preparing a meal – plus an extra casserole for the freezer – and caring for the baby while the parents take a nap would be a welcome treat for new parents. Bring over a couple meals that are easily reheated. Do the dishes etc while im there. i would give her a super soft blanket,make her a dinner and bring candy! i remember those days too well. I would bring over casserole ! I would offer to babysit or run errands for her! I would love to babysit for them so they can rest and make a meal for their family. I try to bring over food and help watch the baby! i have stocked the new mom’s frig. not just with things for dinner, but fresh veggies and fruit to snack on. they love it. New moms need a lot of help because while it’s a wonderful time in their lives, it’s a stressful and exhausting time as well. I think offering to clean house, make a meal or two for them to stick in the freezer for hectic nights, or sitting with the baby while they get some rest are great ways to help. I would help by letting her get outsidee of the house forr a bit- babysitting or perhaps taking the kids out. I would help to babysit. Preparing her a few freezer meals so she can take a break from cooking! I would buy her some baby items. Offer to let her take a nap while I watch the baby. Best gift I ever got when I had babies. I would help a new mom by giving her some supplies so she wouldn’t have to head to the store right away when the baby was born, like diapers, baby wash and wipes. By offering to help out, do errands, babysit. Take some ready to eat food over – so all she has to do is heat it up. My daughter is a new mom. I watch the baby when she needs to go out, and do things with my older granddaughter so she doesn’t feel left out. Take over dinner and help with housework. meal gift cards so they dont have to cook. I’d watch the baby and clean house. I would take care of baby so mom could get some sleep! I would help a new mom by giving her baby stuff and relaxing things for her like candles and bubble bath for those quiet times when she needs to relax. I would babysit for her. I’d help around the house (i.e. laundry, dishes, and cook). I would help a new mom by doing household chores so she could focus on baby and herself. I would help a new mom by offering to babysit while she naps! I would babysit for a new mom. I would offer to babysit so she could have some time to herself. Bring a dinner over for them and some comfort things like new slippers, robe and some lavender scented lotions for mommy and baby. I have 2 daughters and they are both due soon one Oct 25 and the other Nov 6. I would help a new mom by offering to watch the new baby while the mom gets some sleep and offer to help with some new meals. i would give it to my sil who is expecting in march! I would deliver a freshly cooked meal. I’d offer to babysit and bring over casseroles. I help new moms in my community by preparing dinners for them. I am doing pasta on Tuesday. Offer to come over while she naps, cook dinner, help with laundry, ect. I would offer to watch the bigger kids for a little while, so that she could get to rest with the little one. I’m a big fan of helping with meals! By offering to run errands and babysit. bring her meals, offer to help around the house so she can bond with baby or babies. I’d offer to take the baby so she could have time to herself! I like to bring them a meal and if they want me to, I will take care of the baby so they can sleep. I also like to encourage them by telling them what an amazing job they are doing and pray for them. I would offer her my time to babysit, shop or do any chores she needs done. I would give her a night of baby sitting. I’d Offer To Babysit, Cook A Meal, Do Household Chores For The New Mom. I would bring meals and offer to do errands and chores. I’d offer my time and services to give a mom a day off to herself. I would help a new mom by offereing my services for child care.. I would bring her FOOD !!! I would bring a home cooked meal. I think bringing food is such a great help for new moms. Also, depending on how close we were, I think it would be great to offer help around the house with cleaning, laundry, etc. I’d come clean the house when she was out! By offering to watch the baby so she can rest, also lavender lotion, candle and bath salts to help her and baby sleep great at night! I would make dinners she can pop in the oven. I would help a new mom by offering to babysit every now and then so she can get some rest, or go out and do something fun. I’m watching my sister’s kids so she can get some much needed rest after staying up at night with her newborn! I help new mom’s by running their errands and helping with household chores. bring a home cooked meal. Running little errands/bringing baked goods and coffee! donate lots of diapers and wipes ! Watching the baby so she could take a little nap. Also maybe go and do the dishes and pick up the kitchen or something like that! I’d offer to stay over for a night and get up with the baby or hold the baby when needed, so the mom could get one good night’s sleep or be able to get things done. Thanks. Providing free baby sitting service & providing food/meals for her and her family. I help with the laundry and cooking. 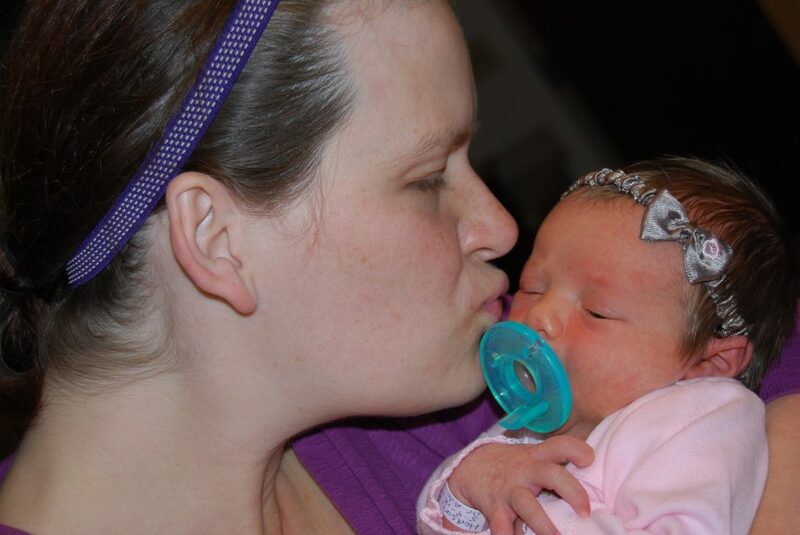 I would come and cuddle baby while she did the one thing new moms never get to do…shower! I would volunteer to watch her baby either while she sleeps or shops or cleans! Offer to watch the baby while she sleeps. That is the best gift! Thank you for the wonderful giveaway! I would do some housework or cook for her. Bring her some nutritious warm food! I’d offer to bring a meal and babysit the older siblings so mom can take a long nap when the baby does. I like to help new moms by bringing them dinner, dessert and something for them to heat up for breakfast in the morning. I’m expecting my first baby next month, thanks for the opportunity! Offer to take the baby for a date night! I’m guessing a homemade lasagna might help – new mommies don’t need to worry about cooking every night! I would offer to help with cleaning the new mom’s house! I would help a new mom by offering to watch the baby while she rested, ran errands or just took time for herself. I love making gift baskets. Things the baby will need, and things mom will love. I would help a new mom by babysitting so she could sleep. I’d offer to clean her house to give her a break, if she’s anything like me she won’t want to pass up time with her new baby so I’d offer another way to lighten her load so she can enjoy motherhood. I would cook and do laundry. I would offer to watch the baby so they could take a nap or offer to babysit over night so that they could sleep in. Also offer to help with the other children, errands and household chores. I’d offer to babysit so they could go out shopping, or on a date night with the hubby! I’d hold the baby and bring her a home cooked meal! By giving them a break or a gift that they can use to pamper themselves! I would do some housecleaning and baby watching so that she could relax. I would do a lot of babysitting. This way she could go somewhere or sleep. offer 2 babysit, cook or do some chores! babysit and bring her a lovely gift basket to help her relax! cooking and cleaning would be a great help! I would help by getting them diapers and babysitting. I’d help by getting them a pack of diapers and offering to babysit! I would help by giving her some time for herself and watching the baby for a couple of hours. I like to help by bringing meals. I’d offer to babysit and/or help with household chores so that she can get some much-needed rest! Take the morning shift so she can sleep in. Meals, time for her to sit and bond with baby while I helped do chores. I would help a new mom by taking meals to her. I would help by donating this to my local young single’s mom home. Food – I would take her a lasagna and a crock pot full of soup so she eats well and stays healthy while being sleep deprived. Babysitting so she can have some me time or grab some sleep. I would babysit while she rests and do some of her laundry and do the dishes and cook some meals for her! By bringing over dinner, so she doesn’t have to cook. I would buy my friend a massage. New moms need a little pampering. I’d offer to do some tasks around the house, like laundry and the dishes! would offer baby sitting time to her! give them a night off. My boss just had a baby about two weeks ago. It’s her third and her oldest is only 6! She could definitely use this and I’d love to give it to her. And it doesn’t hurt to do something nice for the one who signs your checks! By offering to cook dinner or babysit so she could take a nap. I can offer to babysit or do chores. the best presents we got were nappies! we got 2 big boxes and a few of the smaller packs- we’ve only just run out and our baby has just turned 2 months. I would help a new mom by bringing over prepared meals for her and the family to eat during this busy time. I’d give her a night off! I would take care of their new child so she could sleep uninterrupted. 🙂 Thank you. My cousin and his wife are first time parents, so all of us female cousins worked together to fill a freezer of home-cooked meals for them. I would help out a new mom by offering to babysit or run errands for her. I would baby sit so that she could have some “me” time. i would help a new mother by offering my help with babysitting, cleaning, advice or whatever she needed, thank you! My husband rocks the baby so I can get some rest. I like to volunteer to watch the baby while they nap. I would babysit for a few hours so Mom could rest or just go out and have a few hours of “me” time. I would babysit for my friend and give her a gift card to go out to dinner with her husband. Watch the baby while the mom naps! I would help by cooking a few easy meals for her family. I’d babysit for them when they wanted to go out! I would help a new mom by bringing over meals and offering to help with babysitting any other children she has! I would help by cooking dinner, or simply sitting with the baby so mom could get some uninterrupted sleep! Babysit and help provide home cooked meals. I would help her with any questions she may have but make sure not to give her any unwanted advice. Watch the baby, cook meals that can be frozen so my daughter doesn’t have to plan that out while getting used to the new baby. And just be there for when she has questions. My wife and I would make a basket for her. We would offer to do household chores or errands for her. I also would babysit and keep her posted on diaper deals. I would offer to babysit, so that they could have some free time. offer my services: cleaning, cooking, babysit. I would babysit so she could have a day out. I would bring over meals for her and the rest of the family and clean up afterwards. I would babysit for her, so she could get some time alone to do whatever she needs to do or to just do nothing. I would offer baby-sitting services. I would give her advice and offer whatever help she would need, if it be helping prepare a meal, taking her to an appointment, shoveling her sidewalk, or whatever. I would help with household chores and watch the baby while she gets some rest! Help her stock up on diapers and give her time out once in a while. By giving her some mommy time. So she has time to go and do something for herself. I have been buying my sis a bunch of clothing for my brand new niece! Thanks for the giveaway…we have helped our friends by babysitting, bringing over dinner, grocery shopping , etc. Offer to babysit so they can have a day of rest or an evening out. A few a my friends that have had kids I’ve either babysat or helped with the chores one day to help out. Make a homemade dinner for the family. I would help with household chores so she could rest.